November 26, 2009  Palestinians hope East Jerusalem will be the capital of their future state, but successive Israeli governments have stated that the city is the undivided capital of Israel. Now, Palestinians in East Jerusalem allege that there is a campaign being waged against them to divest them of their property through expulsions and demolitions to make the Israeli goal a reality. November 24, 2009  Almost a year after Israel's offensive against Hamas militants in the Gaza Strip, the coastal enclave is still struggling to recover. 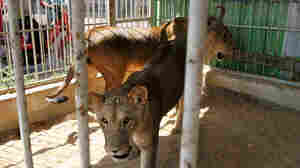 Most animals at the Gaza Zoo died during the fighting. Now, with the help of animal smugglers, the zoo is trying to rebuild. November 23, 2009  Israeli Prime Minister Netanyahu has denounced the actions of some Israeli soldiers who support Jewish settlements in the West Bank. Some Israelis say the soldiers are heros. Palestinians demand Israel freeze all settlement activity as a condition for restarting peace talks. The international community views the settlements as illegal. November 13, 2009  Since the Hamas takeover of Gaza in 2007, it has become increasingly difficult for Palestinians in the strip to get out because of tight restrictions by Israel and even Egypt. That has led to a flourishing trade in visas bought through thousands of dollars in bribes. Most though can't afford the now exorbitant prices and are stuck in what they say is an open-air prison. November 9, 2009  Palestinian leaders are struggling with the aftermath of Palestinian Authority President Mahmoud Abbas' announcement that he does not intend to run for re-election in a vote scheduled for January. There is no clear-cut successor, and the uncertainty has rattled both Palestinians and Israelis. November 7, 2009  In the West Bank, Palestinian relatives of the alleged Fort Hood shooter are shocked and saddened by the mass killings in Texas. Born in Virginia, Nidal Malik Hasan made his first visit to the Palestinian territories a dozen years ago, and had been in touch with relatives in the town of El Bireh on numerous occasions since then. October 27, 2009  The Palestinian militant group Hamas has been consolidating its power more than two years after it took over the Gaza Strip. 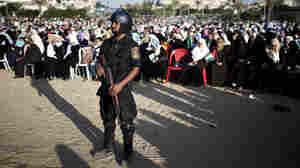 But the recent conflict with Israel and Gaza's continuing isolation are taking a toll on the group's popularity. October 16, 2009  There are increasing tensions between Israel and Turkey. On Thursday, Israel summoned a Turkish diplomat to protest a series on Turkish state television that dramatizes Israeli soldiers murdering unarmed palestinian children. Earlier this week, Turkey refused to participate with Israel in a NATO war exercise. October 16, 2009  It's a tactic extremist settler groups are calling "the price tag." Each time settlers are evicted from an illegal outpost, they retaliate with an attack on Palestinian land. "It's smart but evil," a lawyer with an Israeli human rights group says. "Security forces will have to divert manpower energy to deal with the new problem." October 13, 2009  For years, the kibbutz movement in Israel has been struggling. Now, fewer than 5 percent of Israelis live in the communal settlements. But from the ashes, some Israelis are trying to take the old movement in a new direction. October 13, 2009  In Israel, ultra-orthodox families tend to be really large, but this one may be a record: A 99-year-old rabbi has an estimated 1,500 living descendents. His great-great-grandson just had a child, marking six generations of a single family. October 9, 2009  While official reaction to the Nobel Peace Prize announcement from Palestinian and Israeli leaders was positive, on the streets both sides took a different view. Meanwhile, U.S. envoy George Mitchell met the Israeli and Palestinian leaders Friday, but he seems no closer to reviving formal peace talks. October 6, 2009  Israeli police mobilized reinforcements from across the country Tuesday to secure volatile Jerusalem. Thousands of officers were deployed on city streets for fear that days of clashes with Palestinian protesters would escalate. September 25, 2009  Country on a String is unusual in the Arab world — a comedy sketch show that takes aim at Palestinian leaders on the TV channel they control. 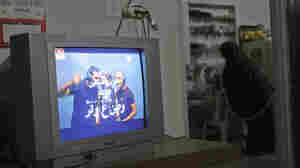 The popular show debuted during the Muslim holy month of Ramadan.